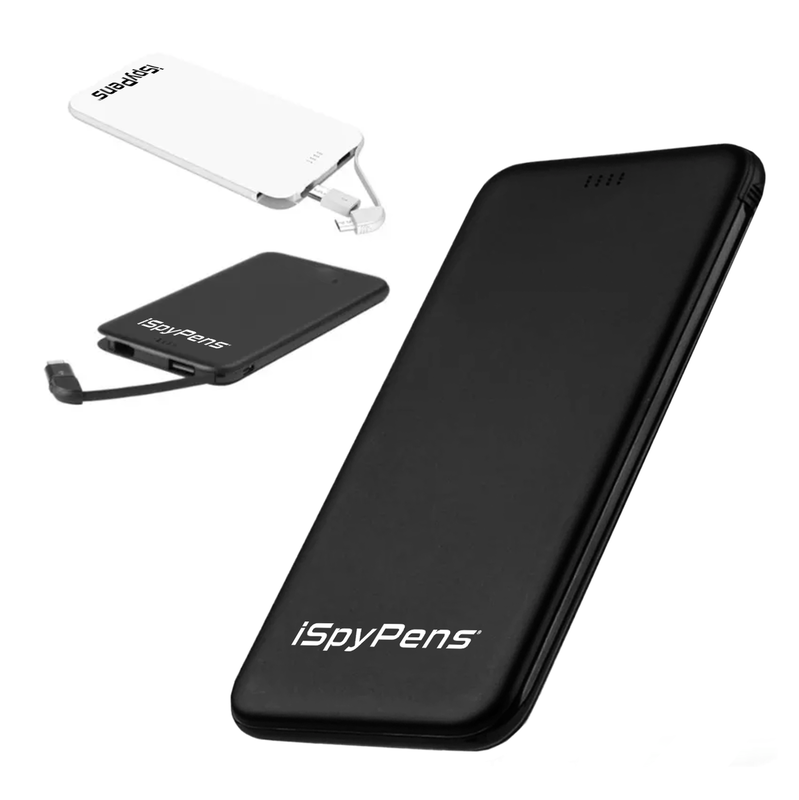 iSpyPens Portable Charger is perfect for on-the-go carry. At 5,000mah, it is designed to recharge your iSpyPen Pro up to 10 times or power your Instant Smartphone Playback Adapter for up to 5 hours. 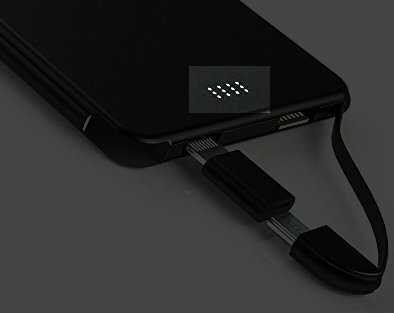 When it arrives, you need to charge up the Portable Charger via the included MicroUSB cable. 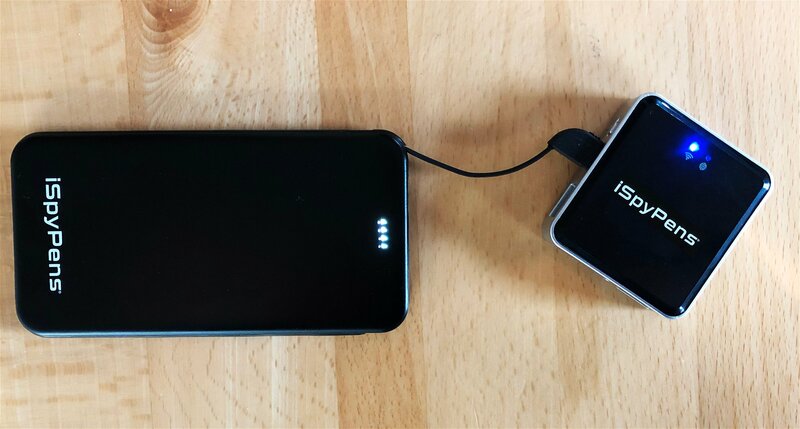 Your Portable Charger is a big battery, so it needs to be charged in order to function properly. 1. Plug in the power bank using the included MicroUSB cable. 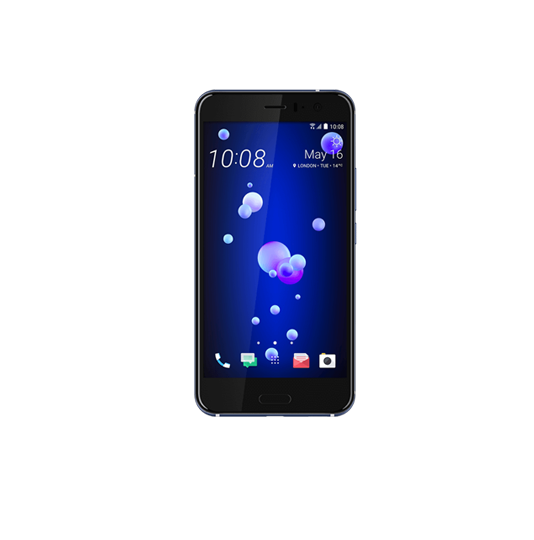 The charging input is shown below. 2. 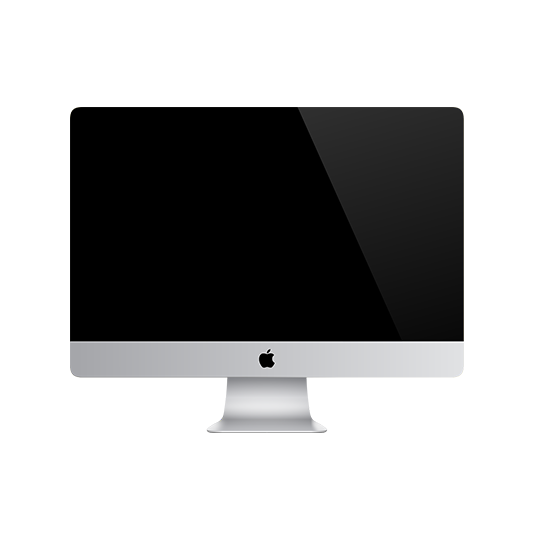 Once the battery is fully charged, the indicator lights will stop flashing and become steady white. 1. 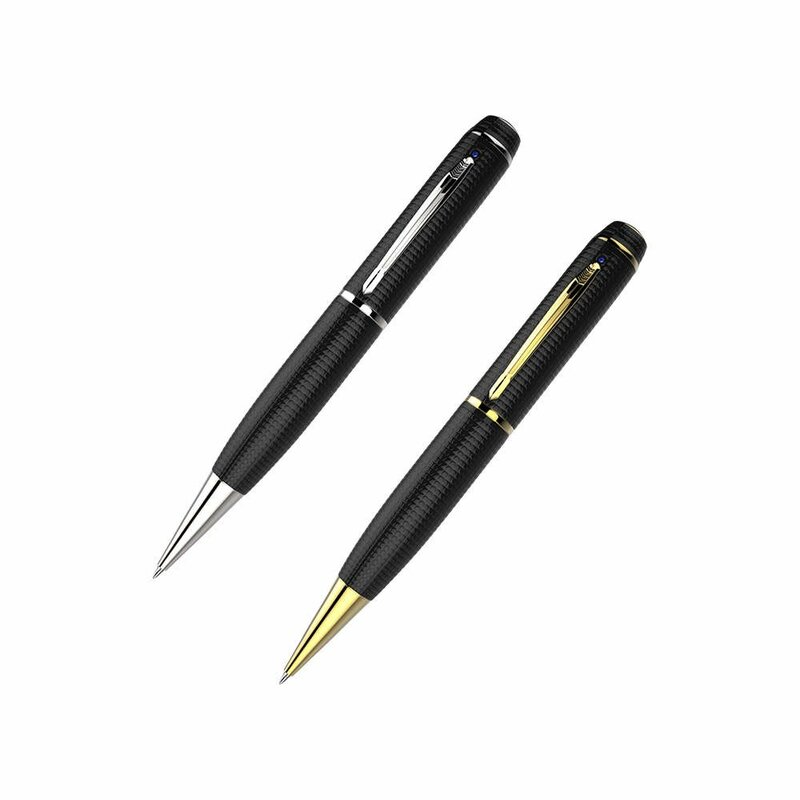 Your Portable Charger features a USB output which can is used to charge your iSpyPen Pro. Identify the location of the USB Output on your Portable Charger. 2. 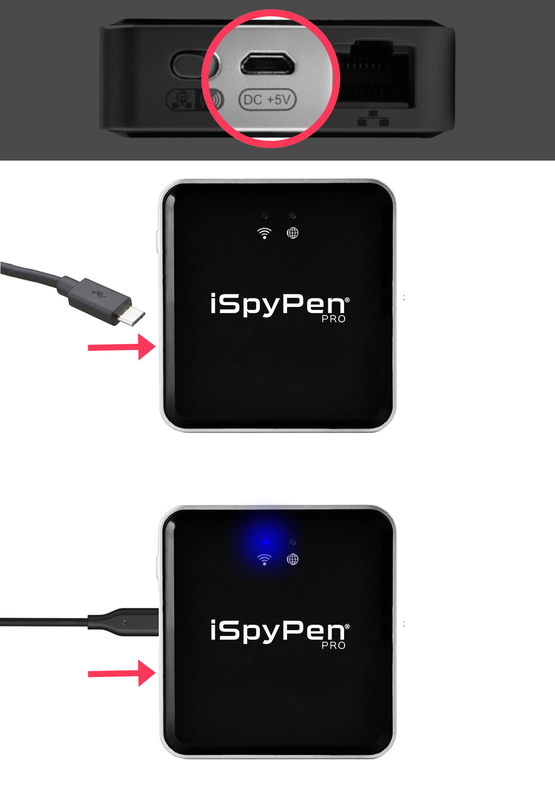 Plug your iSpyPen Pro into the USB Output as shown below, with the indicator light face up. 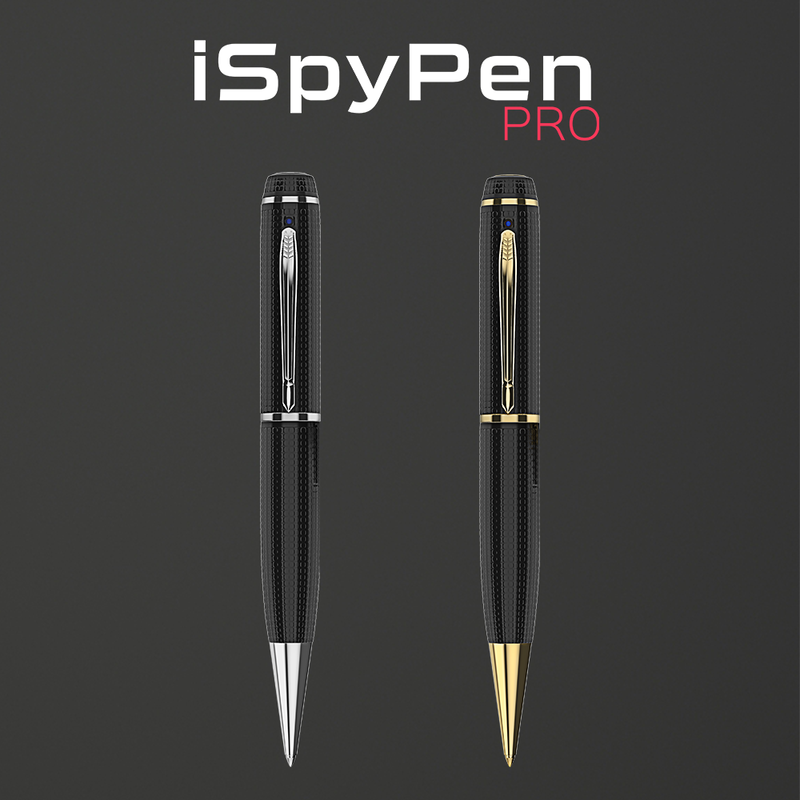 Detailed documentation for your iSpyPen Pro can be found here. 1. 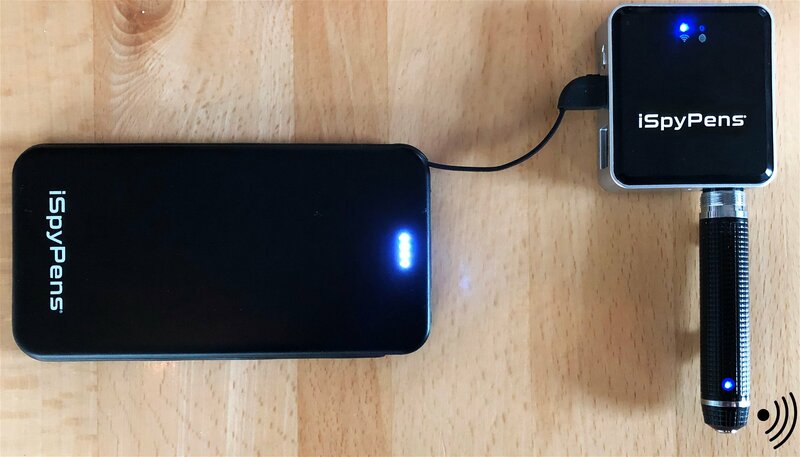 Your Portable Charger features a built in MicroUSB output (as shown below), which will be used to power your Instant Smartphone Playback Adapter. 2. After plugging in your Playback Adapter via MicroUSB, your Playback Adapter will power on and the WiFi indicator becomes solid blue. 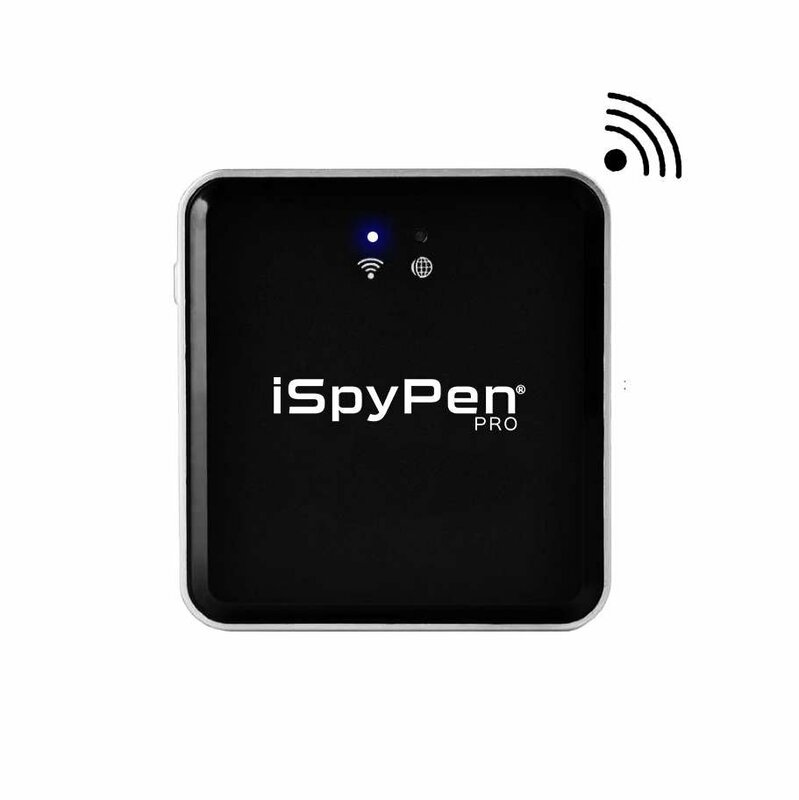 Plug your iSpyPen Pro into the USB input on your Instant Smartphone Playback Adapter. 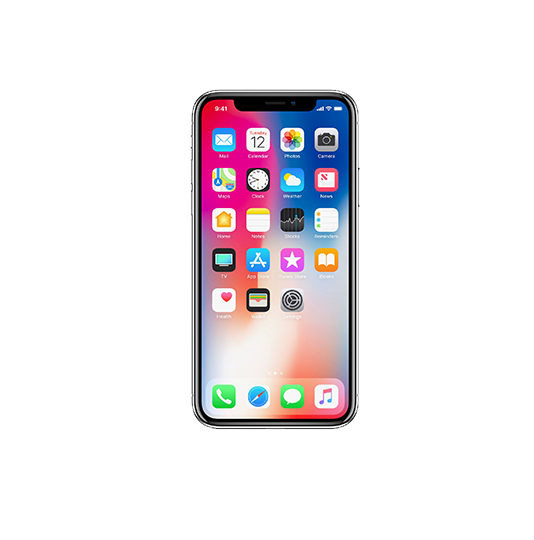 Click here for Instant Smartphone Playback Adapter detailed documentation. 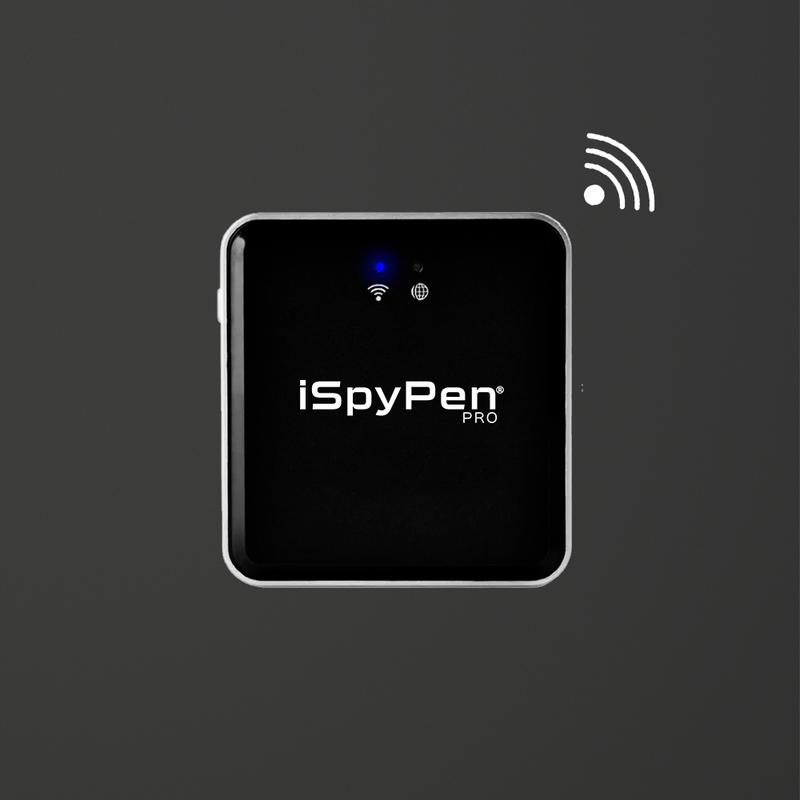 iSpyPens Instant Smartphone Playback Adapter is designed to give you free reign over video playback on your iSpyPen Pro. Please make sure that you have the required applications downloaded prior to use. 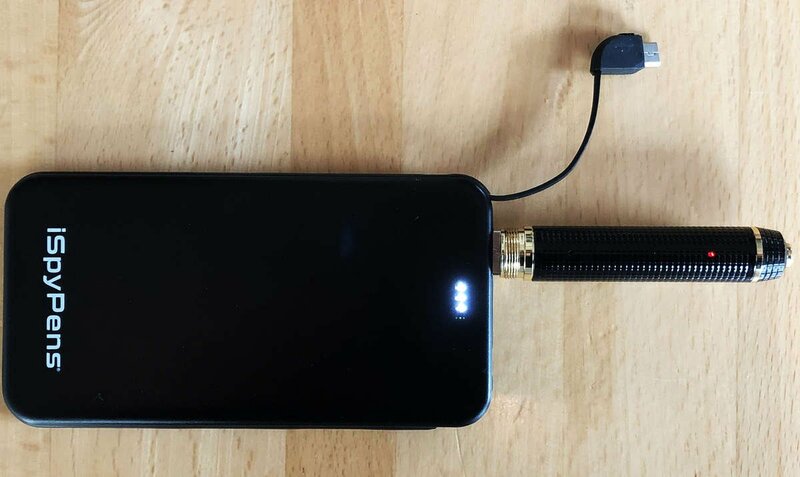 Your Instant Smartphone Playback Adapter makes it easy to stream and download to smartphones, tablets, and computers. 1. Be sure to have our two required free apps installed on your device. See required apps here. 2. Plug your Instant Smartphone Playback Adapter in to a power source via the included MicroUSB cable. 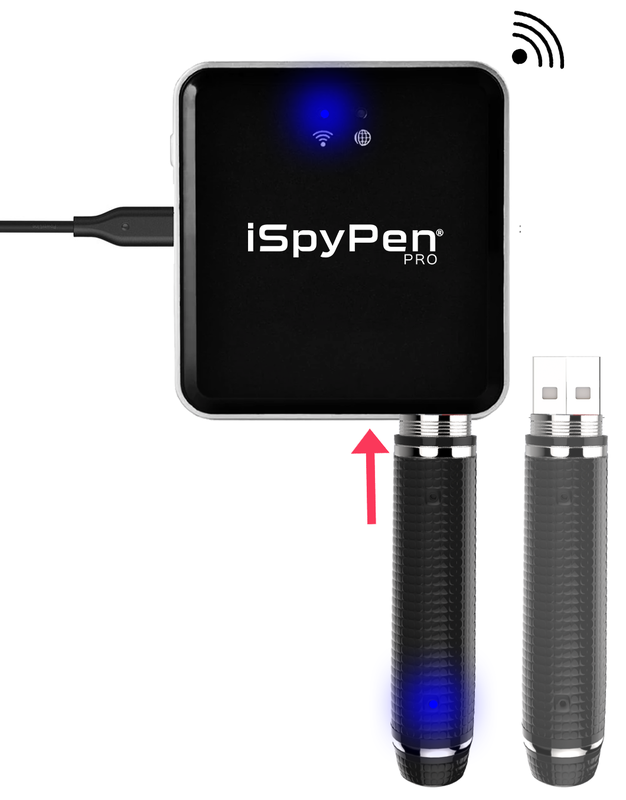 See how to plug it in to your iSpyPens Portable Battery here, for on-the-go use. 1. Notice the blue light above the Wi-Fi symbol on your Instant Smartphone Playback Adapter. It will stop flashing when your device is ready. 2. 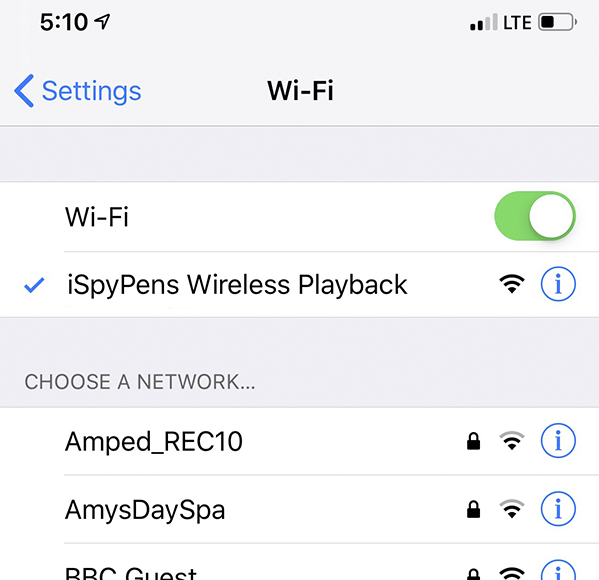 Open the Wi-Fi settings on your playback device. 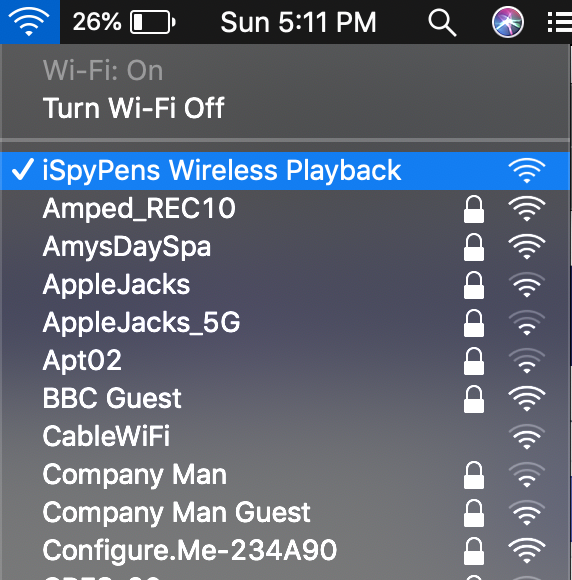 Look for the network called "iSpyPens Wireless Playback" (also shown below). 1. 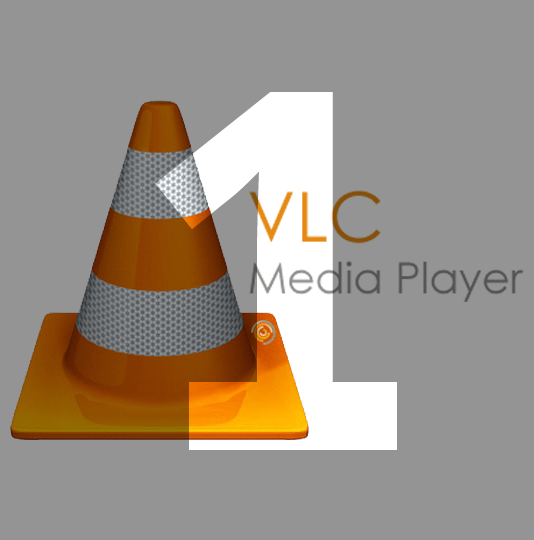 Now that you have successfully completed the above steps, please make sure you have downloaded VLC Player App and TripMate App. If you have not downloaded both of them, you can do so here. 2. 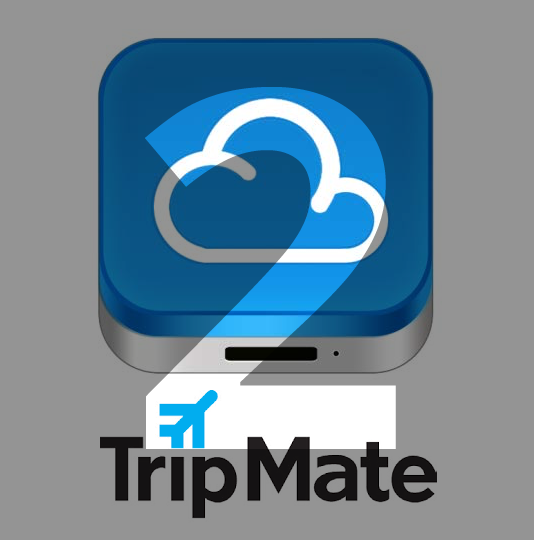 Open up the TripMate App and follow the video below for instant playback and file sharing. 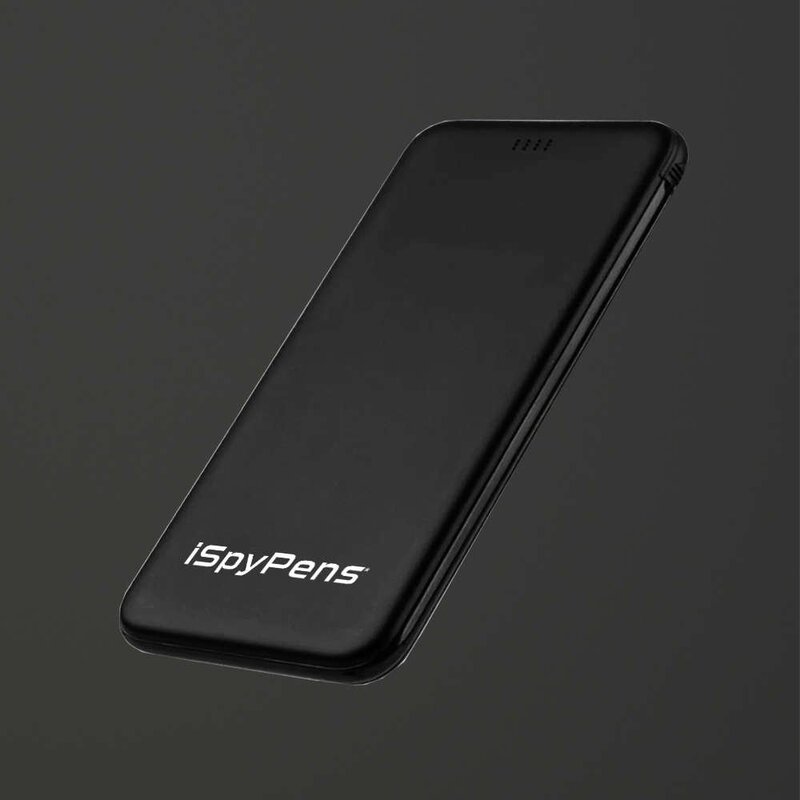 Double check that you have properly followed the initial steps (that your Instant Smartphone Adapter is connected to power, your playback device is connected to “iSpyPens Wireless Playback”, that the required apps have been downloaded, and that your iSpyPen Pro is properly connected). 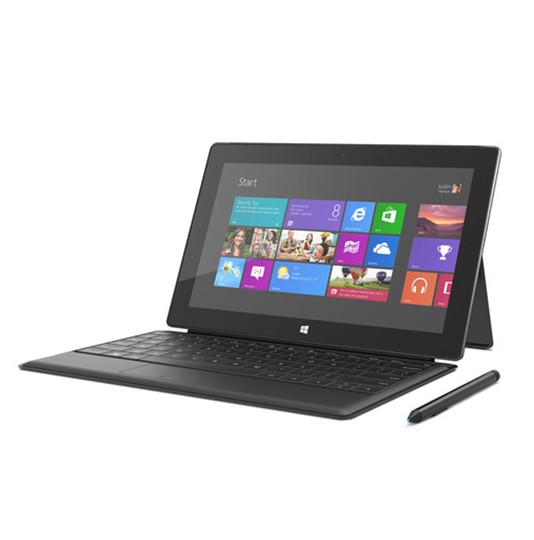 From here you can decide what you would like to do with your files. We recommend downloading your files if you would like to share them.